The 100 Series was first launched in 1954 and was quick to become one of the most popular Oversize pens ever made by Conway Stewart. 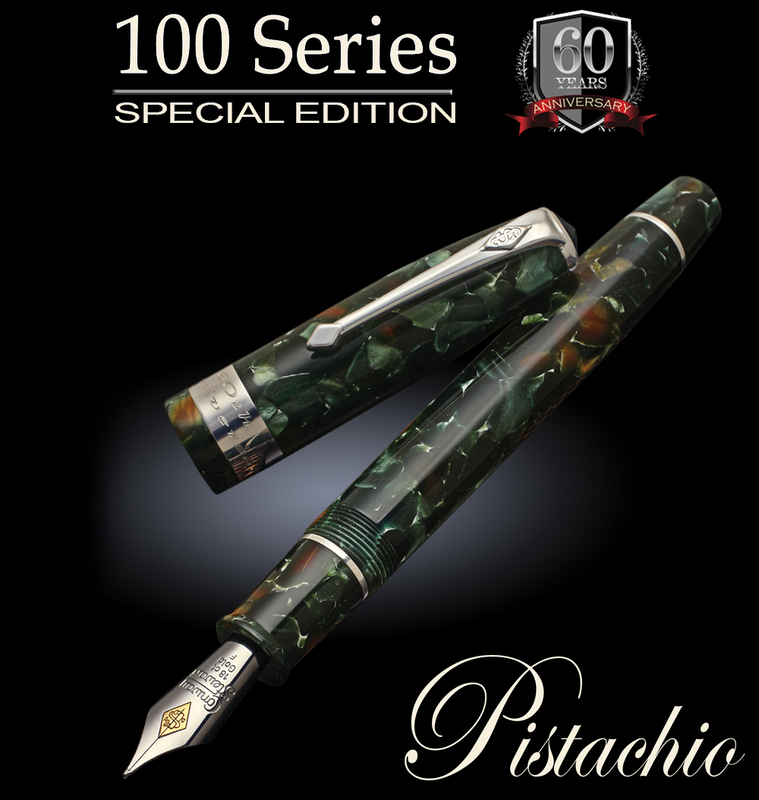 In celebration of this popular and iconic model created 60 years ago, Conway Stewart is pleased to release a special edition of the 100 Series crafted out of Pistachio hand made resin - the 60th Anniversary 100 Special Edition. Lovingly crafted from English hallmarked solid sterling silver, the Fistral features hand applied enamel layered over the elegant guilloche engraving on the cap and barrel, giving emphasis and depth to the flowing pattern, representing both the power and grace of the Atlantic Ocean. The underlaying engraving shows through, leaving a design that is both refined and elegant, yet also eye catching under any light. During the classic era of the 1920s, a fine fountain pen was considered not just a luxury, but an everyday necessity. The best and most exclusive of these fountain pens were often adorned with precious metal overlays, ornate filigree, engraving, or even diamonds. They served as luxurious status symbols, notable even during a time replete with flamboyant displays of wealth and decadence. The new Conway Stewart Gatsby draws upon this era to bring a dramatic new look to our enamel limited edition series. Based on our popular Belgravia model, the Edwardian is completely crafted from solid sterling silver and is a full sized pen with a hand finished Tiffany style matte polish, set off by an elegant in-house engraving running the length of the cap and barrel. The hallmarked sterling silver forming the cap and barrel begin as solid rods of precious metal rather than pre-formed tubes, resulting in a classic feeling of substantial weight and size. The graceful pattern adorning the cap and the barrel is engraved by our in-house master engraver and inspired by designs featured during the Edwardian era. The Marlborough is named after Sir Winston Churchill's family name and continues with the tradition of our flagship Churchill model in being a visually imposing writing instrument with ties to our proud British heritage. With a straight design to the cap and barrel shape, and a vintage style washer clip, the Marlborough recalls some of finest Conway Stewart pens from the 1920s. True to the early examples of Britain's Best, our current Marlborough Vintage model is being made available in a limited selection of genuine ebonite, the material of choice for fountain pen manufacturers through the early 1930s. The Marlborough pen is substantial in style yet remains very easy to use with the gently curved section accommodating a wide range of hand sizes. Crafted completely out of ebonite, the Marlborough is both light in weight and warms gently in the hand during use. Offered in a choice of 18 carat solid gold nibs ranging from Extra Fine, Fine, Medium, Broad, Extra Broad, as well as Italic Fine, Italic Medium and Italic Broad, we feel confident that every writer will find the perfect selection of nib grade to suit their individual writing style. Whether you choose the large ink capacity and ritualised filling ceremony of the eyedropper fill, the traditional elegance of the lever fill mechanism, or the ease and convenience of the modern converter cartridge system, the Marlborough Vintage is designed to provide you with a wonderful writing experience in keeping with our motto: The Best of British! Each Marlborough Vintage is housed in our exclusive Churchill presentation packaging accompanied by a Churchill cigar, a bottle of Conway Stewart ink, and a book of famous Churchill quotes. For those seeking the epitome of style and elegance, a fine writing instrument that brings to life the time honoured traditions of British craftsmanship, the Conway Stewart Marlborough Vintage limited edition fountain pen makes the perfect choice. 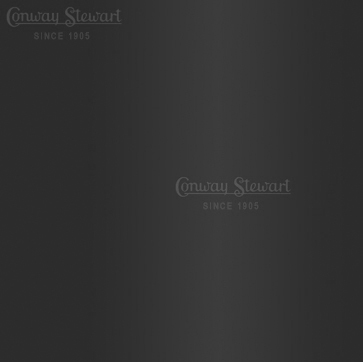 Whether as a gift for someone special or even a treat for yourself, the new Conway Stewart Marlborough Limited Edition will bring a smile to the face of the most discriminating connoisseur. Complete with engraving accents on the cap top, wide barrel bands crafted from solid 18 carat solid gold or sterling silver, and a choice of traditional lever fill system, eyedropper fill, or cartridge converter, the Marlborough Vintage looks like it has stepped right out of the 1920s. The Churchill Excalibur hand made resin consists of a luxurious mix of rich tones combining a graphite pearlescence backdrop with swirling lines of vibrant red, a bold statement of creativity and individualism. Both eye catching and adventurous, this finish is a hit for those who demand the cutting edge of design. Truly a pen for the passionate lover of fine writing instruments. 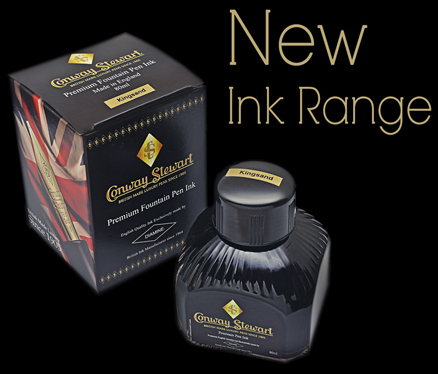 Conway Stewart is pleased to announce the launch of our new ink line with our working partner, Diamine Ink. We chose to work with Diamine because of their rich English heritage. Manufacturers since 1864, Diamine Ink has successfully incorporated the traditional methods and formulas for ink production which are water based, perfect for new and vintage fountain pens. 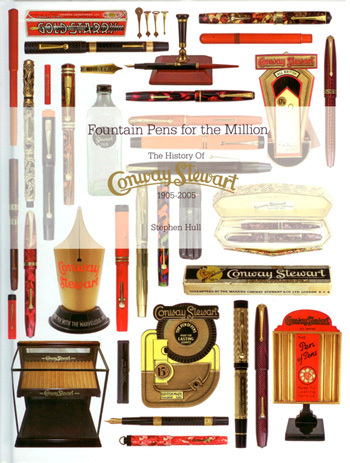 'Fountain Pens for the Million' features 300 pages of history, more than 700 illustrations -- it is a reference book that will undoubtedly appeal to all Conway Stewart vintage and modern enthusiasts as well as those interested in the history of British writing instruments.